The Sporting News established in 1936 the Player of the Year award. It is the oldest and most prestigious award given to the single player in MLB who had the most outstanding season. Until 1969, it was the only major award given to a single player from MLB, rather than to a player in each league. In 1969, Baseball Digest began its Player of the Year award for one player in all of MLB. In 1993, the first Best Major League Baseball Player ESPY Award was given. In 1998, the Major League Baseball Players Association (MLBPA) began its own Player of the Year award, for one player in all of MLB, as part of its Players Choice Awards. 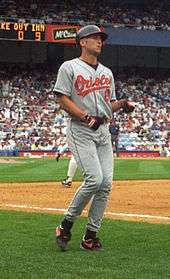 Baseball America also began its Major League Player of the Year award in 1998. In 2012, MLB's "GIBBY Awards" added an MLB Most Valuable Player category, which was renamed the Most Valuable Major Leaguer in 2014; its current name is the "Esurance MLB Awards" Best Major Leaguer. Hall of Famer Sandy Koufax, 2-time winner. 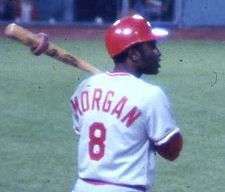 Hall of Famer Joe Morgan, 2-time winner. 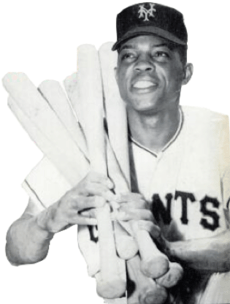 Hall of Famer Willie Mays in 1954. Several players have won the award more than once. 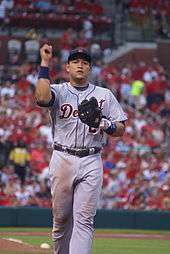 Ted Williams, Joe Morgan, Albert Pujols and Miguel Cabrera are the only players to win the award in consecutive years. 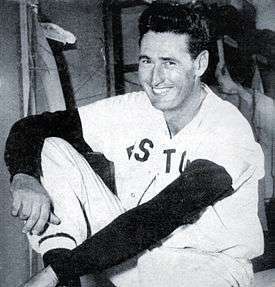 Ted Williams won the award five times. Sandy Koufax is the only pitcher to win the award more than once. Alex Rodriguez and Barry Bonds are the only players to win the award while playing with different teams. Stan Musial and Alex Rodriguez are the only players to win the award while playing different positions. The only tie was in 1962, when Don Drysdale and Maury Wills shared the honor. Alex Rodriguez and Barry Bonds are the only players to win the award with multiple teams. Alex Rodriguez won the award with the most teams (3). Winning multiple SN Player of the Year awards has been seen as guaranteed admission to the National Baseball Hall of Fame. Barry Bonds is the only player with multiple awards, eligible for the Hall of Fame, but not a member of the Hall of Fame. The table is of the Players that have won two or more awards and the year they were inducted into Major League Baseball Hall of Fame. Active players are not eligible for the Hall of Fame. Outfielders and Pitchers have won the most awards. ↑ "Baseball Almanac Major League Player of the Year Award by The Sporting News". baseball-almanac.com. Retrieved October 27, 2012. ↑ "Carl Hubbell Baseball Almanac Awards". Baseball Almanac. ↑ "Carl Hubbell Statistics". Baseball-Reference.com. ↑ "Johnny Allen Baseball Almanac Awards". Baseball Almanac. ↑ "Johnny Allen Statistics". Baseball-Reference.com. ↑ "Johnny Vander Meer Baseball Almanac Awards". Baseball Almanac. ↑ "Johnny Vander Meer Statistics". Baseball-Reference.com. ↑ "Joe DiMaggio Baseball Almanac Awards". Baseball Almanac. ↑ "Joe Dimaggio Statistics". Baseball-Reference.com. ↑ "Bob Feller Baseball Almanac Awards". Baseball Almanac. ↑ "Bob Feller Statistics". Baseball-Reference.com. 1 2 3 4 5 "Ted Williams Baseball Almanac Awards". Baseball Almanac. 1 2 3 4 5 "Ted Williams Statistics". Baseball-Reference.com. ↑ "Spud Chandler Baseball Almanac Awards". Baseball Almanac. ↑ "Marty Marion Baseball Almanac Awards". Baseball Almanac. ↑ "Hal Newhouser Baseball Almanac Awards". Baseball Almanac. ↑ "Hal Newhouser Statistics". Baseball-Reference.com. 1 2 "Stan Musial Baseball Almanac Awards". Baseball Almanac. 1 2 "Stan Musial Statistics". Baseball-Reference.com. ↑ "Lou Boudreau Baseball Almanac Awards". Baseball Almanac. ↑ "Phil Rizzuto Baseball Almanac Awards". Baseball Almanac. ↑ "Robin Roberts Baseball Almanac Awards". Baseball Almanac. ↑ "Robin Roberts Statistics". Baseball-Reference.com. ↑ "Al Rosen Baseball Almanac Awards". Baseball Almanac. ↑ "Willie Mays Baseball Almanac Awards". Baseball Almanac. ↑ "Duke Snider Baseball Almanac Awards". Baseball Almanac. ↑ "Mickey Mantle Baseball Almanac Awards". Baseball Almanac. ↑ "Bob Turleys Baseball Almanac Awards". Baseball Almanac. ↑ "Bob Turley Statistics". Baseball-Reference.com. ↑ "Early Wynn Baseball Almanac Awards". Baseball Almanac. ↑ "Early Wynn Statistics". Baseball-Reference.com. ↑ "Bill Mazeroski Baseball Almanac Awards". Baseball Almanac. ↑ "Roger Maris Baseball Almanac Awards". Baseball Almanac. ↑ "Maury Wills Baseball Almanac Awards". Baseball Almanac. ↑ "Don Drysdale Baseball Almanac Awards". Baseball Almanac. ↑ "Don Drysdale Statistics". Baseball-Reference.com. 1 2 "Sandy Koufax Baseball Almanac Awards". Baseball Almanac. 1 2 "Sandy Koufax Statistics". Baseball-Reference.com. ↑ "Ken Boyer Baseball Almanac Awards". Baseball Almanac. ↑ "Denny McLain Baseball Almanac Awards". Baseball Almanac. ↑ "Denny McLain Statistics". Baseball-Reference.com. ↑ "Ron Guidry Baseball Almanac Awards". Baseball Almanac. ↑ "Ron Guidry Statistics". Baseball-Reference.com. ↑ "Fernando Valenzuela Baseball Almanac Awards". Baseball Almanac. ↑ "Fernando Valenzuela Statistics". Baseball-Reference.com. ↑ "Roger Clemens Baseball Almanac Awards". Baseball Almanac. ↑ "Rogers Clemens Statistics". Baseball-Reference.com. ↑ "Orel Hershiser Baseball Almanac Awards". Baseball Almanac. ↑ "Orel Hershiser Statistics". Baseball-Reference.com. 1 2 3 "Barry Bonds Baseball Almanac Awards". Baseball Almanac. 1 2 3 "Barry Bonds Statistics". Baseball-Reference.com. 1 2 3 "Alex Rodriguez Baseball Almanac Awards". Baseball Almanac. 1 2 3 "Alex Rodriguez Statistics". Baseball-Reference.com. 1 2 3 "Albert Pujols Baseball Almanac Awards". Baseball Almanac. 1 2 3 "Albert Pujols Statistics". Baseball-Reference.com. ↑ "Justin Verlander Baseball Almanac Awards". Baseball Almanac. ↑ "Justin Verlander Statistics". Baseball-Reference.com. 1 2 "Miguel Cabrera Baseball Almanac Awards". Baseball Almanac. 1 2 "Miguel Cabrera Statistics". Baseball-Reference.com. ↑ Spector, Jesse (October 23, 2014). "Clayton Kershaw edges Mike Trout for Sporting News Player of the Year". Sporting News. Retrieved October 23, 2014.